If you love history and visiting historical monuments, then surely Agra is the place to be. 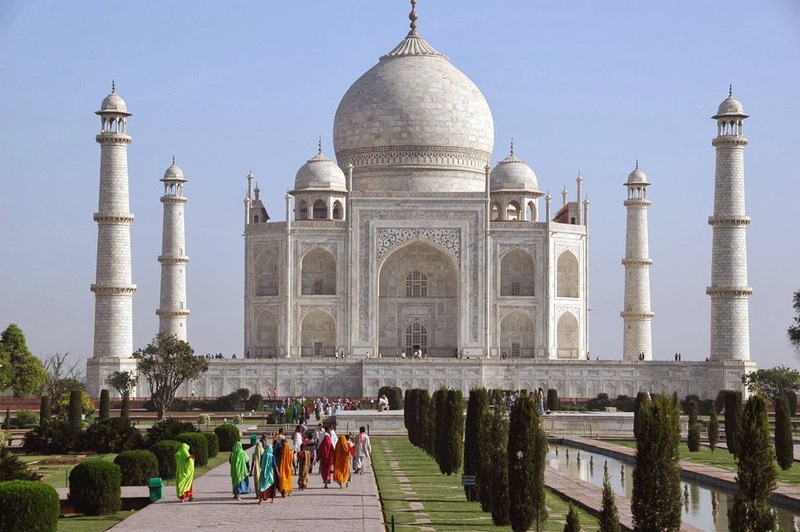 And if you are on a visit to India, then without Taj Mahal, it is simply incomplete. Housing the 7th Wonder of the World, Agra is famous for its monuments, food and artwork. It is 200 kms away from the national capital and 300 kms away from Lucknow, the State capital. Located on the river Yamuna, Agra is the third axis of the Golden Traingle , the other two being Jaipur and Delhi. Agra is well connected by all the major cities of the country. By Air, it is connected to Udaipur, Delhi, Jaipur and Lucknow . The airport of Agra, Kheria, is 7 kms away from the city . Agra is well connected by all the major cities of India by railway. The Agra Cantonment, Agra Fort and Raja ki Mandi stations serve the tourists. Many luxury trains like Palace on Wheels also have Agra as their destination. Agra lies on NH 1 connecting Eastern India with North, NH 3 connecting with Mumbai and NH11 linking Bikaner. Super fast expressways connect Agra with Delhi and other major cities of Uttar Pradesh, Madhya Pradesh and Rajasthan. Many government buses and private vehicles ply between all the nearby cities. Typical Indian climate- very hot in summers ( 450C and more) , very cold winters ( close to 10C) and moderate rainfall ( 60 inches). 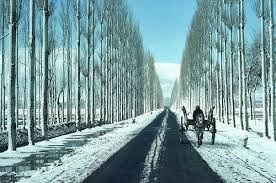 Best time is winters- November to early March. Of course, the Taj Mahal – the epitome of love. Built by Shah Jehan in 17th century for his beloved wife, Mumtaz, it is one of the most visited places in India. Babar laid the foundation of the city by making the the Aaram Baagh (Garden of Relaxation). His successors, especially Akbar, took the city to new heights by establishing the capital city “Fatehpur Sikri”. Both are now UNESCO heritage sites, along with Agra Fort. There are many other Mughal pieces of architecture to see: Akbar Tob, Chini rauza, Ram bagh ,musamman Burj. There are many temples to visit too. Also there are nature spots like Sur Sarovar to visit. Agra is famous for its “petha”- a sweet made from ash gourd. You can’t miss handicrafts made of marble and soft stone, leather ware, jewellery, zari embroidery, carpets and lots more. Agra has many hotels and most of them are quite affordable. You can also visit Uttar Pradesh Tourism Resorts and get exclusive packages including accommodation. A princely state in North India, it is divided and surrounded by China and Pakistan. Though the entire state has been claimed by India, Pakistan considers the area as territory in dispute. Even then, the place is offers some of the best natural views and stunning sceneries in the world. Popular for skiers, man resorts and facilities offer the tourists some of the best tracks for asking their way through. A mountainous region by nature, it is covered with many lakes and rivers, offering some of the most beautiful views and places in the world. It is the best tourism destination for nature lovers who want to see a rare glimpse into the majestic nature of mountains and the calming effects of the water bodies co-existing. 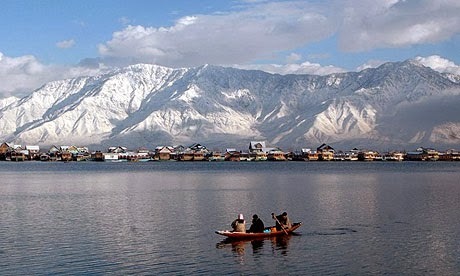 You can catch a plane whether to Srinagar and Leh in order to get into the place by air. However, there also many trains and buses that you can catch in order to reach your destination. As land travel usually involves crossing places with hostile environment, air travel is considered to be the safest. Train routes go through frequent earthquake prone spots, places with high temperature variations and hostile areas. Dedicated to Lord Shri Rama, the temple has its inner walls surrounded by gold and offers a beautiful view into the Hindu faith. There are many other temples surrounding the area that consider different gods from the Ramayana as their deities. Surrounded by dense forests and small hills, it offers one of her best natural and unique views to the tourists. The Amarnath Cave temple dedicated to a form of Lord Shiva as an ice Lingam, it is well revered and respected by many. It is one of the oldest and religiously significant temples for the hindus and is built with beautiful construction and dedication. Located at a high altitude, it offers one of the best trekking destinations in the world. One of the most famous attributes is that of River Zanskar freezing up in the winter offering a beautiful sight of a frozen lake. 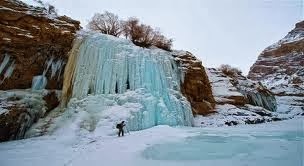 This is best for people who are seeking adventure and treks. One of the holiest and most respected pilgrimage for Hindus, it is located at an altitude of more than 5000 feet. From the base camp, the pilgrims have to trek for more than 12 km in order to reach their destination. If you seek a city truly Indian in character singing its own glory and royal character, then Jaipur is the answer and you must visit it at least once in a lifetime to taste its exquisiteness. It has so many palaces and museums to visit but Jaipur is not just a city of palaces, it has its own culture and elegance which attracts so many foreign tourists here. 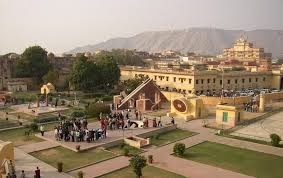 Jaipur is the capital of Rajasthan State of India. It is a part of the Golden Triangle with other 2 axes at Delhi and Agra and, therefore, easily reachable by train/ road from these cities. 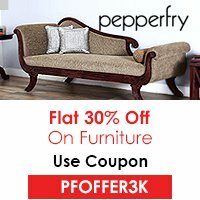 It has great air connectivity with all major metros especially with Mumbai and Delhi. Unless you want to see how people of Rajasthan live in scorching heat at 48-490C, do not visit Jaipur in summers. Any other time especially winters would be the best time. You can hire local vehicles for sightseeing. Jaipur has so many forts and palaces to offer. Most important of them are the City Palace (located in the centre of the city), Hawa Mahal , Jaigarh Fort, Nahragarh Fort , Jal mahal and the Amer Fort. All the forts and palaces are exclusive examples of Rajput architecture, a perfect hybrid of Indian and Mughal Architecture. In all these structures you can see vast corbels, ornamental decorations and open courts. 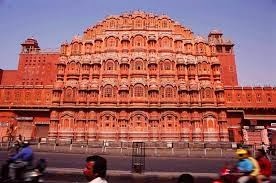 In fact, the walled city of Jaipur itself is a great case study of Indian Architecture which was planned much ahead of its times. Besides, forts and palaces you can visit museums and temples. Jaipur streets and market places are well known for silk and cotton sarees and cloth materials called bandhani prints. 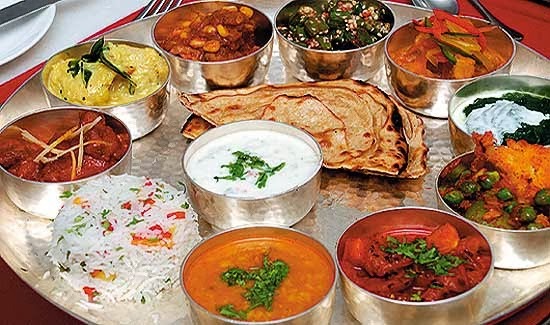 Don’t miss out on Rajasthani cuisine cooked in pure ghee esp. dal baati churma. Interestingly, Jaipur is now gaining fast recognition due to the largest literary festival in Asia-Pacific- Jaipur Literature Festival and the Film Festival in the months of January and February. 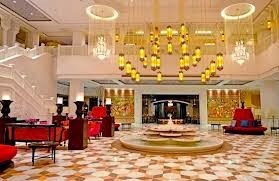 Jaipur has so many hotels which give you a very royal feel. 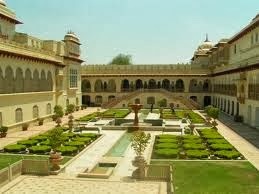 Rajputana, Trident, Oberoi, etc are there if you have higher-end budget and want to live raja-like in Jaipur. There are other affordable hotels too. There are Rajasthan Tourism development corporation (RTDC) resorts which offer complete tourist packages. So, pack your bags and welcome to the architecturally beautiful and amazing Pink City.